Ever since the internet became a widespread household phenomenon, it has only become more popular for consumers to turn to the online world for purchasing almost any product that can be delivered to their door. For auto dealerships, the online market has posed unique challenges. A new car or truck is not a simple purchase; consumers are used to building a relationship with a salesperson they trust to provide a good deal, ease the complicated process of financing and insurance, and help guide them towards that perfect new vehicle. Lacking the personal touch afforded by the showroom floor, the online marketplace once seemed like a totally unrealistic venue for auto sales. Recent developments in digital retailing, however, are starting to change the way we look at this possibility. To grasp the bigger picture on how and why the internet is about to become the fastest growing new resource for dealerships, you can click here to learn more about the current top online dealership strategies or read on to take a look back on how the auto industry has developed online. In the beginning, consumers were apprehensive about any online purchases, period. Until companies like Amazon, eBay and PayPal increased the popularity of online shopping by introducing increased digital security, most people only felt safe making small purchases with low-limit credit cards. Soon, internet commerce became trusted to a much greater extent and people started realizing that it could provide a safe and convenient way to do business of all kinds. For example, when Canadian blogger Kyle MacDonald made news trading from a single red paperclip all the way up to a house on eBay, people started to really take notice and also get excited. Despite sporadic sales by independent sellers on sites like eBay, selling cars online remained uncommon. To make the most out of the limitations of the internet, auto dealerships and manufacturers alike started appearing online in an effort to advertise and guide online customers to their sales locations. The next step was to bring more and more of what’s offered at the dealership to the online platform. As advertisements and dealership inventory listings became more informative and more frequently updated, consumers were finally able to use the internet to get informed about what they wanted before arriving on location to test-drive their potential new vehicle. The problem that remained was that the website was still thought of as a replacement for something that it would never be able to replace: the in-house sales experts. It took the help of online marketing companies who specialize specifically in digital marketing solutions for dealerships to come up with the next strategy: using online features in a way that added to the strategies of the dealership, rather than trying to replace them. Perhaps the most effective of these is the chat software service – an extremely effective way to generate high quality leads for the sales team at the dealership. Chat services also provide a useful tool for online administrators looking to gather information about the customer that will help the sales team close the deal later on. Today, we are about to come full circle by challenging the long held belief that pursuing the finalization of auto sales online was an ineffective strategy. 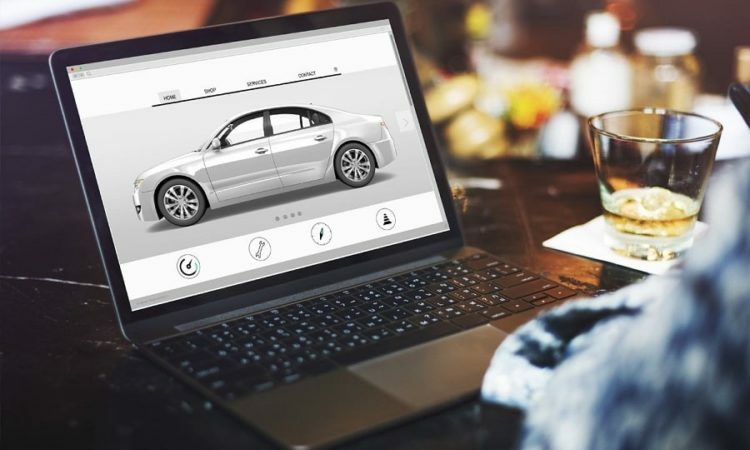 The latest technology that’s been effectively changing minds involves a strategy that combines social media marketing software – where virtual retailing has recently taken impressive innovative strides – with the capabilities of the dealership website. No matter the product, the world of online sales is endlessly growing. New product innovations have always provided a welcome sales boost in the world of retail – increasing consumer interest and offering useful advantages that previously did not exist. Changes to how cars are sold online may happen at any time, but the best way to stay informed and ahead of the completion is to solicit the help of an online digital marketing solutions team, who specialize in dealership auto sales strategies.